Reasons for divorce: even good marriages can end badly. 6 reasons why marriages that are amazing to start with turn out bad. One day you’re staying up all night laughing, talking about everything under the sun, and feeling like you couldn’t possibly be closer to another human being… then, in a blink of an eye, you’re like roommates barely exchanging words over the crunch of cereal at the breakfast table and at least mildly annoyed by nocturnal blanket-hogging and the way the other laughs. How does a once close and loving relationship deteriorate into an arrangement of “putting up with each other” or, worse, a failed marriage? What goes wrong in a marriage to make it go from successful and happy to requiring life support? 1. Our priorities get out of whack. Most of us can manage to make our partner our primary focus when the relationship is still young or before major distractions from career, children, and others gradually divert our time and energy from our spouse. Many of us make parenting the number one object of our attention once kids enter the picture. While this may seem like what is in the best interest of the children, you may eventually find that your marriage needs to maintain top billing, even after kids. Some of us have a hard time believing or accepting this, but the fact is that children benefit from the strength of a loving, solid relationship. Additionally, parents are able to continue to perform their best as a mum and dad when they are able to first nurture the marital bond. 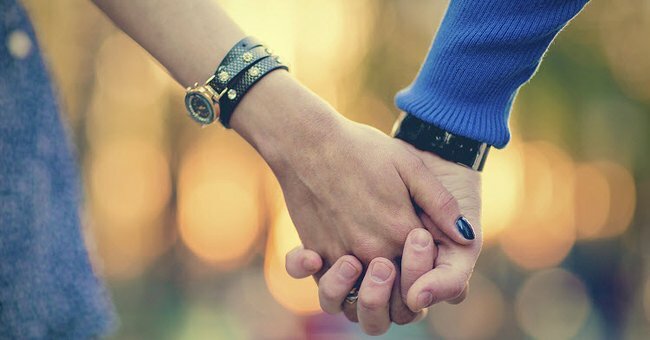 Do not deny the importance of continuing to date your spouse long after marriage! It is essential to make quality time for one another and to continue to feel connected in the middle of everything else life throws our way. Khloe Kardashian famously divorced Lamar Odom following drug allegations. 2. We grow apart instead of together. Every relationship has its ups and downs, and it can be especially trying to stay on the same page and interested in the same things after many years pass. All of us develop new interests over a lifetime, and while it’s important to still have individual interests and time to ourselves to retain our personal identities, it is critical to the survival of a marriage for a couple to enjoy shared activities and one another’s company. Maybe, as a couple, you and your spouse enjoyed more athletic or vigorous activities when you were younger or first got together, but now are no longer interested in those things. Instead of just giving up on the things you used to do and falling into a rut, it’s important to keep developing new things to do together. Similarly, as we mature, our views and preferences about everything can evolve. A happy couple doesn’t have to share all of the same beliefs or interests as long as they can happily coexist and maintain a strong sense of compatibility. 3. We lose our respect for the marriage and each other. When the glimmer of first love begins to wear off, we may begin to take our partner for granted and not do the things we should such as continuing to show appreciation, apologising when we’re wrong, or showing our spouse the same courtesies we might show a stranger. How many times have you found yourself giving a short or rude reply to your spouse, made unfair demands, lied, been stingy with attention or affection, and so on just because he or she is “yours” or because you felt you could get away with it? Understand that every time we don’t hold our loved ones in the esteem they deserve, show them disrespect, or fail to make them feel loved and wanted, it chips away at the marriage. Discontent is a breeding ground for infidelity, conflict, resentment, and so many other relationship killers. Instead, the marriage needs to be protected and coddled like a precious and fragile treasure and not allowed to become commonplace or routine. Brad and Jen had one of the most highly-publicised breakups of all time. 4. We let life events take their toll. Many years bring many opportunities for disappointments, failures, illness, financial problems, and more. We can either be beaten down by life and allow it to colour our perspective on each other, or we can grab our partner by the hand and face these trials together! A sense of humour and optimism go a long way, and a battle is much easier to fight with someone by our side. We will all make mistakes, so when these occur, we have to be willing to forgive our partner and ourselves. Hanging onto accumulated blame, frustration, and keeping score contributes to bitterness and can put a serious damper on the relationship. Be prepared for the fact that your marriage will be tested and each of you will be pulled at by a million daily challenges. Take advantage of the fact that you are part of a partnership and lean on each other for strength. Angelina Jolie and Brad Pitt have been together since 2005. 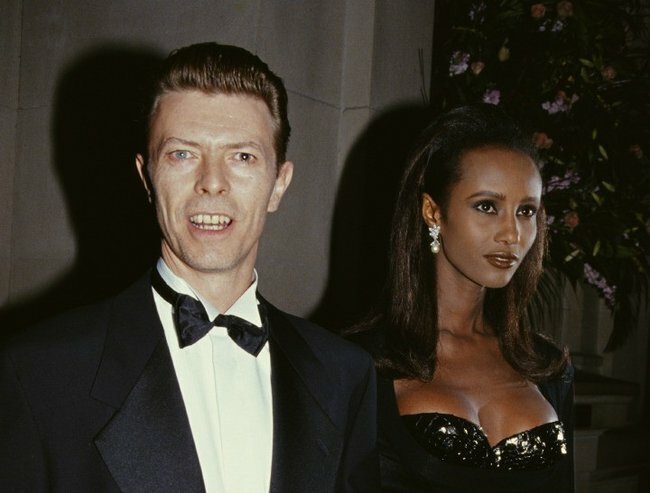 David Bowie and Iman have been married since 1992. 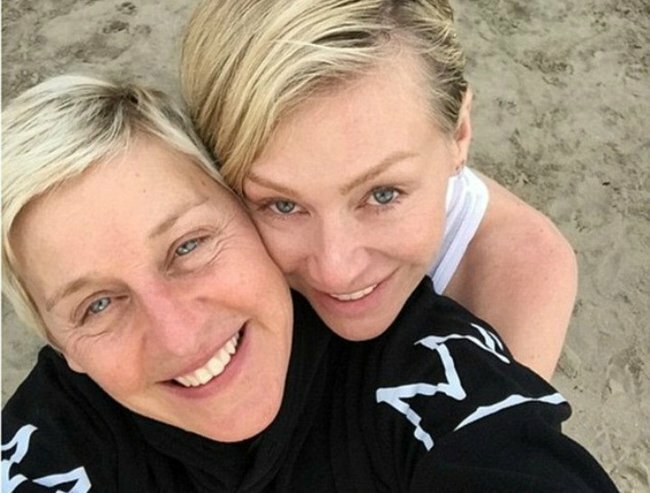 Ellen de Generes and Portia de Rossi have been married since 2008. Michael J. 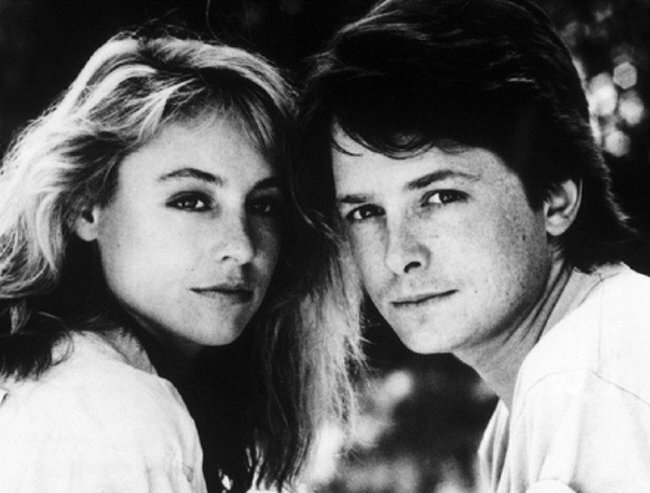 Fox and Tracey Pollan have been married since 1988. 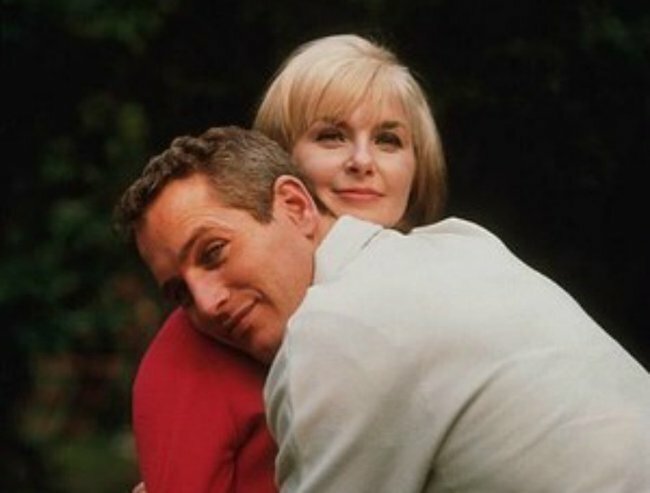 Paul Newman and Joanna Woodward were married for 50 years. 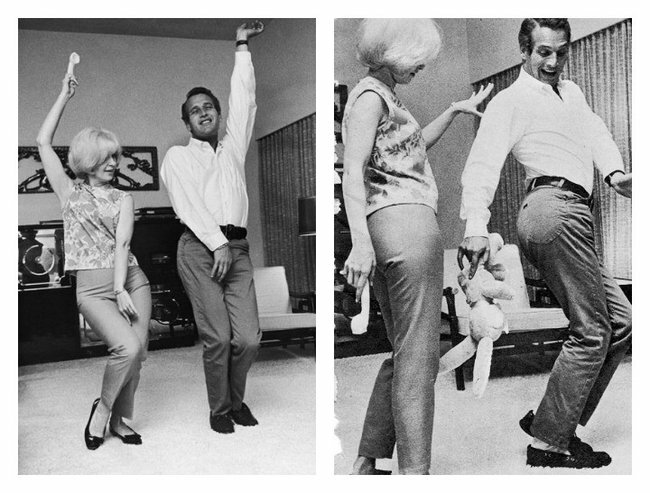 Paul Newman and Joanna Woodward. 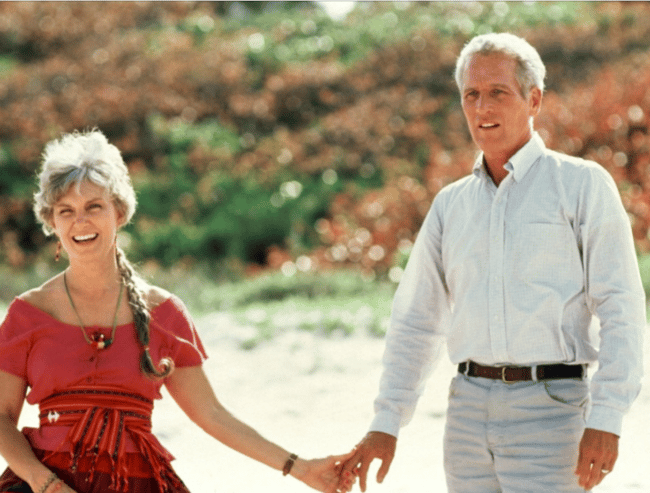 Tom Hanks and Rita Wilson have been married since 1988. 5. We give away pieces of ourselves. As already discussed, marriage requires us to make it a top priority and continue to respect one another. When those factors are already out-of-place, we fall easy prey to giving away precious pieces of ourselves to others and any number of distractions instead of the one we took in marriage. Does a co-worker, friend, or someone else we see in our daily routines get the best we have to offer instead of your spouse? If someone else is the recipient of your best efforts of patience, time, attention, laughter at their jokes, attempts to look our best, and so on, then we shortchange our relationship. Maybe the vice is TV, texting, social media, a hobby, an addiction, or another person? Be a willing recipient of the best your partner has to offer so that they don’t look for other outlets, and save the best of yourself for them in return. 6. We don’t know ourselves our each other well enough. Let’s face it, not everyone is an ideal candidate for marriage or suited to be together. One danger of marrying too young or too quickly after another relationship is not having a firm enough grasp on who we are and what we need and want, let alone what the other person is all about. Quite simply, a relationship may start out seeming good, then crumble to a bad one because it was never truly a good fit to begin with. This illustrates the importance of being selective about our partners and being very in tune with what we want out of life. As the saying goes, “there’s plenty of fish in the sea;” so, there’s no need to settle for another or overlook behaviours that will only fester and become massive problems later. Be clear about what you (and your partner) can live with, what your mutual needs and expectations are, and give yourselves time to be certain of the relationship before diving in too deep! This article was originally published on DivorcedMoms.com. See the original post here.